All are welcome to a public input meeting about the Ocracoke Convenience Site. 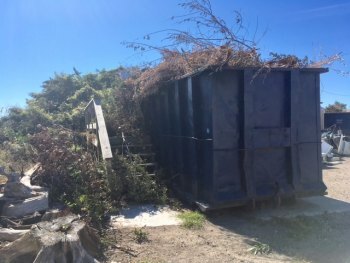 Do you dream of a better convenience site for Ocracoke? Are you continually frustrated dumping off your trash? You are not alone. As the busy summer season comes to a close, I believe it is time to make the necessary improvements and changes needed to make next summer season the best it can be. Please join me on Wednesday, October 24th to discuss ways we can work together to make the Ocracoke Convenience site convenient. I will be on site at the dump on Wednesday, October 24th at 3:30 p.m., to complete a walk through and have on site discussions. Following at 4:30 p.m., the discussion will move to the Ocracoke Community Center and I will be there to take your suggestions and learn more until 6:00 p.m. Please come prepared to discuss unmet needs, suggestions for improvements, and any recommendations with examples of systems that you have seen work or new ideas you may have. Photos, drawings and examples will be invaluable moving forward. If you can't make it but have suggestions, ideas or comments please email me at knoble@hydecountync.gov and I will be sure your input is considered moving forward.